Explorers first discovered turkeys in the 15th and 16th century in America. In 1550, William Strickland, who had introduced the turkey to England, was granted a coat of arms including a turkey as its central symbol. They are originally believed to have come from Mexico. 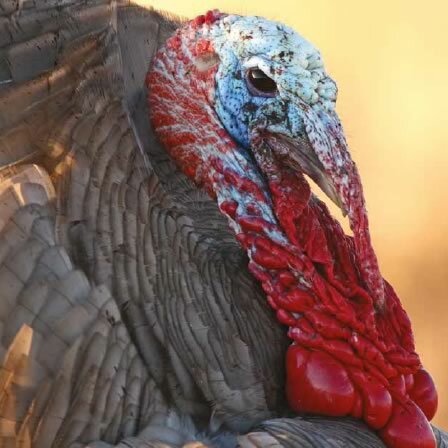 Henry VIII was the first King to have enjoyed turkey, although it was Edward VII who made eating turkey at Christmas fashionable…replacing peacocks at the Royal Courts. Our turkey group varies over time but is generally composed of rare breeds including the Norfolk Black, Bronze and Crollwitzer.